Former Irish rugby international Andrew Trimble has admitted that he didn’t identify as Catholic or Protestant growing up in Northern Ireland because he genuinely didn’t know himself. 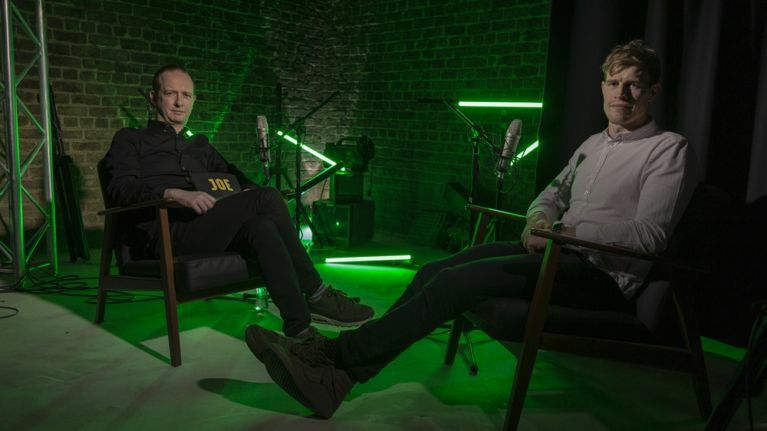 Speaking to Dion Fanning on this week’s Ireland Unfiltered, Trimble, the co-host of Baz and Andrew’s House of Rugby, says his ambivalence towards his religion was a product of the environment in which he was raised. “I remember whenever I was a youngster - I say youngster, I was maybe 10, 11, 12 - and someone asked me if I was a Catholic or a Protestant, and I said I didn’t know because I genuinely didn’t know,” Trimble said. Trimble adopted a similar attitude when it came to his national identity and says that he doesn’t feel the need, nor has he ever felt it, to identify as British or Irish. “You (Dion Fanning) asked me the question, ‘British or Irish?’ and I said ‘both’; some people would say it’s dodging the question but, you know, I don’t…” Trimble said. “It never mattered, I never really cared. And I know in (Brian) O’Driscoll’s documentary, Shoulder to Shoulder, he was astounded, you know, about a couple of guys he met who said they support Ireland, they’re British, they’re Northern Irish, you know, they’re everything.